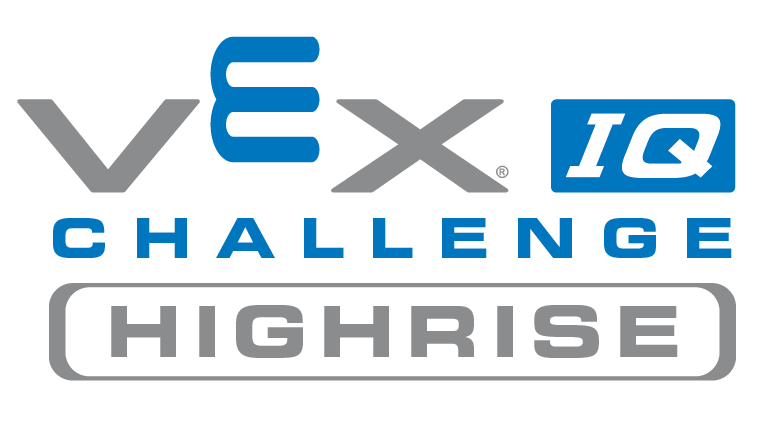 VEX IQ Challenge Highrise is played on a 4’x8’ rectangular field configured as seen above. Two robots work collaboratively, as an alliance, to score points in Teamwork Challenge matches of 60 seconds in length. 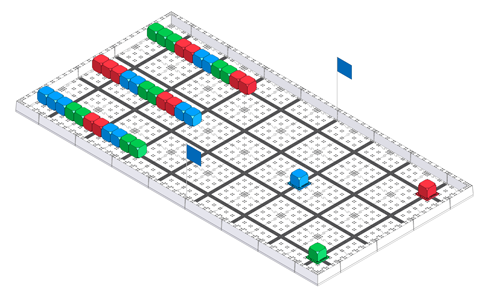 Teams can also participate in two additional challenges; The Robot Skills Challenge, where one robot takes the field to score as many points as possible under driver control; and The Programming Skills Challenge, where one robot scores as many points as possible autonomously, without any driver inputs. The object of the game is to attain the highest possible score by Scoring Cubes in the Scoring Zone and by building Highrises of Cubes of the same color on the Highrise Bases. Excellence Award 15B Crescent Crazy Stackers Crescent Elementary School California, U.S. Excellence Award 8899Y Vexecutives Manatee County Robotics Club Florida, U.S.